Cardiff Steiner School’s Fountain Choir is for all parents, staff and friends of the School. The Choir is led by Anna Cristoni-Apel, trained in Choir Conducting and Singing at The Milan Conservatory. The Choir perform in and for the School at events, Open Days and more. Singing together is a great way for people to express themselves, have fun and build community spirit. We learn how to enhance our voices in a natural way and see how musical harmonies can have a healing effect on our souls. Anna has a Steiner Teacher Training qualification, Bologna, Italy; and Choir Conducting (Early Music) and Singing, from The Milan Conservatory (Conservatorio di Musica ‘Giuseppe Verdi’ di Milano) in Italy. 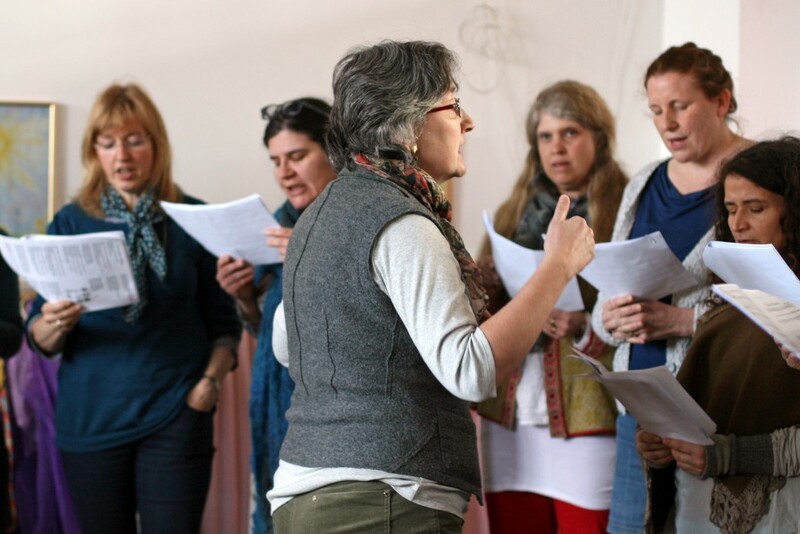 She is also a member of the Natural Voice Practitioner Network UK. New members always welcome. Drop in £2 per session. All abilities welcome, enthusiasm is all you need!